Jan 22, 2019 was a horrific day in New York as Gov. Andrew Cuomo signed a bill allowing abortions up to birth. 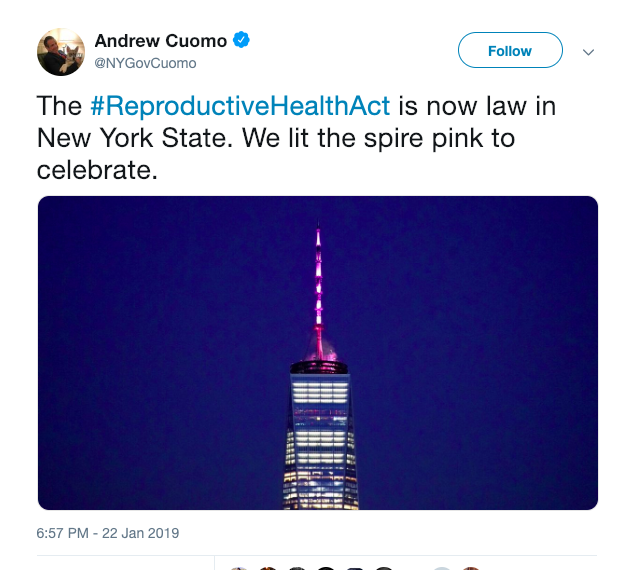 As a “celebration” for this new law, the governor ordered the pink lighting of the top of the World Trade Center, along with other major buildings in New York. Eleven unborn children lost their lives during the Sept. 11 terrorist attacks. The 9/11 memorial lists the mothers and their unborn children. 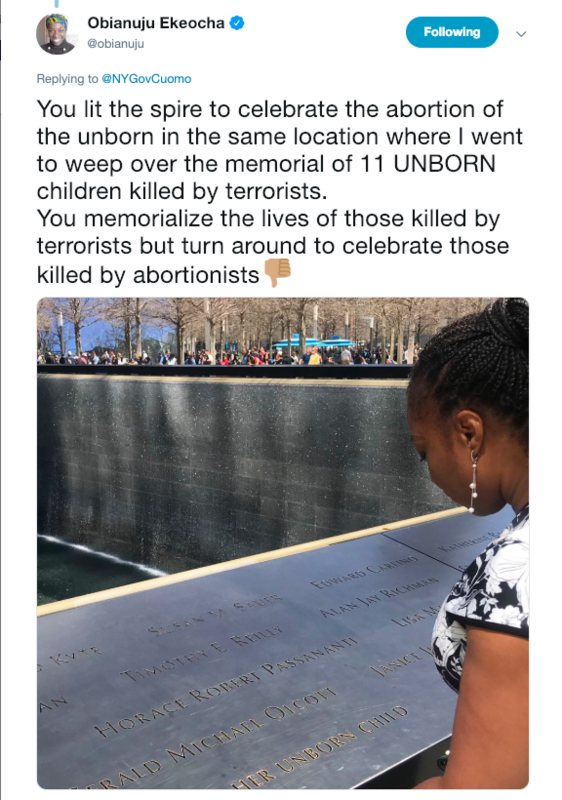 This memorial recognizes an unborn child as a human, while the governor and their legislators celebrate the killing of unborn children. The Susan B. Anthony List also responded to this hypocrisy on their Facebook page and website. “The World Trade Center is a powerful symbol of American resilience and unity following one of the most terrible acts of violence against innocent people in our nation’s history. 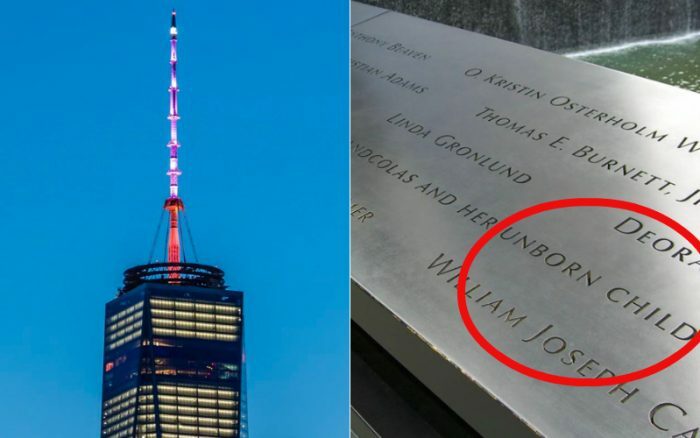 “Victims of that terrorist attack include unborn children and their mothers who are remembered at the 9-11 memorial. “Using this landmark to cheer a sweeping assault on the lives of the most vulnerable is wrong and divisive. 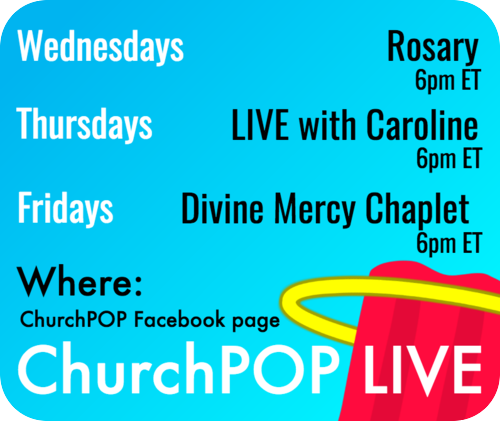 Let us pray for the conversion of all abortion supporters, especially Gov. Cuomo!